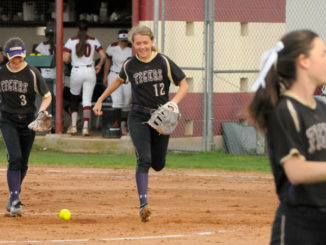 Though Hahnville dropped a tough game to Live Oak at the Lady Tigers’ annual softball tournament, HHS bested three other teams to make for a strong weekend overall. 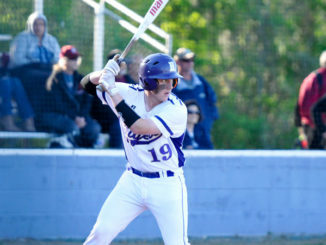 The Tigers entered the week with a 6-2 overall record after tournament wins over Cabrini, Beau Chene and Lutcher, each of those victories by five runs or more. The Tigers’ 5-0 win over Cabrini saw HHS get to pitcher Karli Lynn Perque late, scoring five runs over the final three innings. Hahnville’s Karly Taranto outdueled Perque, pitching a complete game shutout. 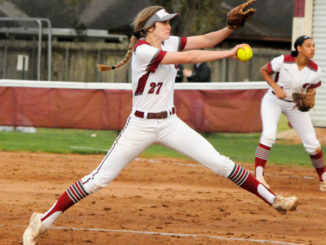 She allowed three hits and eight strikeouts. HHS got seven hits as a team and took advantage of four Cabrini errors. Hahnville’s win over Lutcher was a dominating one, 16-2 on Saturday, that saw big offensive days by Kelly Ortego (2 for 4, three runs scored), Pryscilla Prince (2 for 4, three runs, one RBI); and Kamryn Keller (2 for 4, one run, one RBI). The Tigers won by the 10-run rule in six innings. The Tigers bested Beau Chene in another 10-run rule effort, this time winning 12-0 in five innings. Taranto pitched a complete game, two-hit shutout. She struck out five and walked two. Offensively, Maeson Martindale (3 for 5, two home runs, five RBIs, three runs scored), Catherine Friloux (2 for 3, home run, three RBIs, two runs scored), Sarah Van Etta (2 for 3, two runs scored) and Danielle Duplay (3 for 3, two RBIs, one run scored) paced Hahnville. HHS notched 14 hits in the game. Beau Chene was undefeated going into the game. Live Oak (7-2) survived a back and forth game with the Tigers to spoil what was otherwise a perfect weekend for Hahnville. An RBI single by Live Oak’s Savannah Hall in the sixth inning pushed Live Oak ahead, and a solo home run by Brett Leiva in the seventh inning put the finishing touches on a 7-4 win. Baudouin went 3 for 4 at the plate for HHS. 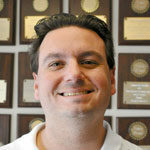 There was good and bad news on the medical front for Hahnville. Baudouin, a Tigers’ rising talent at second base, suffered a fractured arm in the tournament. Baudouin, who was batting leadoff for the team, was originally thought to be potentially sidelined for the season; however, a later evaluation, Nugent said, was more forgiving, leaving the door open for a return. Nugent said the Cabrini and Beau Chene wins were big ones for his team, coming back to back to start the tournament. Neither team committed an error in the game.